I strongly believe financial performance is a key value driver in businesses. But, the reasons to measure it are far greater than the bottom line results. I was speaking at an event with business owners recently and asked how many were planning on selling their business in the next couple of years. Only a few put their hand up. Okay, some might have not been keen to reveal that information, but it was still a low number. When I asked how many wanted to have a more valuable business in a year’s time, everybody raised their hand. No real surprise there, but what are the best ways to increase business value? Certainly, increased sales and profit are the most obvious things to measure. But there are other things to focus on as well. This driver is an easy one to understand but not always easy to achieve. I looked for thoughts on this subject from fellow accountant, Ian Parsons. Ian owns Parsons Accountants in Wakefield providing accounting and tax support. Above all, he is active in helping clients buy and sell businesses plus raise finance for growth. 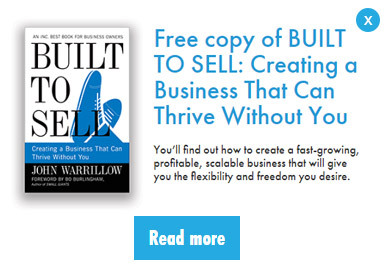 It doesn’t suffer from one-off growth surges or declines – who wants to own a business that has roller-coaster profits? We agreed that the greater the historic trend, the greater confidence a buyer would have about the future. However, bear in mind that like all investments historic performance is not a guarantee of future performance. Accepting that point, Ian made it clear that business valuation models will use historic sales and profit figures as an important input. We discussed one interesting thing about financial performance: the quality of the financial numbers. From a buyer’s point of view, they need to be able to trust the numbers of the business they are interested in. Can the business owner defend the numbers? Have clear accounting policies on how income, expenses, assets and liabilities are treated in the accounting system. A common challenge for smaller businesses is separating the owner’s personal expenses from business expenses. Unusual expenses and unusual policies can affect a buyer’s trust in the financial records. The vast majority of owner-managed businesses are below the statutory audit threshold so won’t need to get an audit report from their external accountants. Most accountants working with businesses below the audit threshold will advise on accounting systems, policies and procedures. It’s in everyone’s interests to have a ‘clean set of books’. Remember you could always get a visit from the HMRC to check your VAT or other tax records! 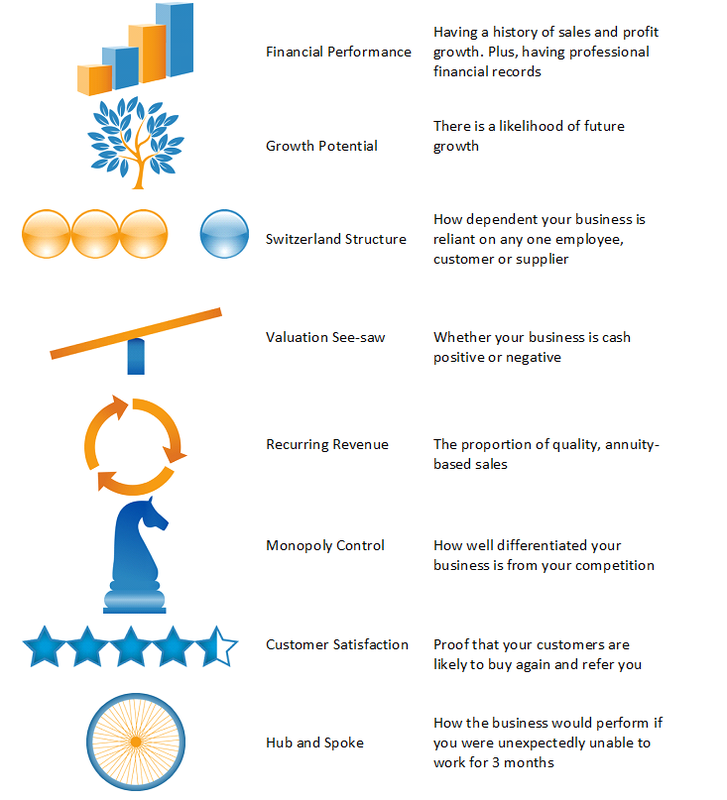 This article is the first in a series of eight, about the drivers of business value. The eight drivers are used to calculate the value of a business. Get your free valuation of your business plus a personalised report on how to improve it.